Capital Entrepreneurs member company Vidmaker has completed a $652,000 round of funding. Vidmaker recently graduated from the TechStars Cloud program in San Antonio. Vidmaker is a social video platform where anyone can create video and share it everywhere and provides powerful browser-based video editing tools and a mobile app for video uploads. Madison has been ranked as a leading high-tech hub nationally. This Technology Index ranking is based on economic competitiveness in the technology field and combines a measure of the concentration of high-tech companies, and two measures of regional innovation – patents per capita and average annual patent growth. Madison’s “budding tech hub” centered around the University of Wisconsin contributed significantly to the strong ranking. Madison ranked 17th, and Seattle, San Jose, and San Francisco topped the ranking. Madison continues to be recognized as a top tech and startup hub, and was also ranked as a top place for entrepreneurs earlier this year. Guest post by WomStreet Co-Founder Matt Ford. WomStreet is a competitive social media hub that hosts large scale video and photo contests for companies in order to create genuine brand engagement. They were one of 25 companies recently invited to “TechStars for a Day” in Boston. The WomStreet founding team, Ryan Schmukler, Alex Kreindler & Matt Ford â€“ all University of Wisconsin alumni â€“ packed their bags around midnight and departed for the Chicago Midway airport around 2am, embarking on an interesting entrepreneurial journey to Boston, Massachusetts. The event commenced around 1pm with a talk by Bill Warner â€” the founder of a video editing software company, Avid Technologies, and prominent angel investor in the Massachusetts area. Billâ€™s speech was highly insightful, his main message being that tech startups too frequently structure themselves around a revenue model, rather than pursuing the foundersâ€™ genuine motive to create joy among consumers. Billâ€™s speech was followed by a panel of TechStars graduates, all of whom could not speak highly enough about the TechStars experience. After a few insightful words from Katie Rae, the managing director of the program, a 4 hour networking session with various prominent tech entrepreneurs and TechStars mentors ensued. It was truly a pleasure for the WomStreet founders to represent the Madison area among so many successful people in the Boston startup space. WomStreet has been graining traction as of recently, signing several small businesses in the Madison area to host contests on their platform as soon as it launches in the next couple of weeks. Madison was recently highlighted as a “vibrant tech hub” in Fast Company. Madison has seen significant growth in the tech space, and is now home to many established tech companies as well as a burgeoning tech startup community. The article highlights the first tech startup wave to hit Madison almost 20 years ago and its impact today. The scene has continued to grow, and has seen significant growth in the past 3 years in particular. Capital Entrepreneurs has emerged as a cornerstone community for the latest wave of young tech companies, and now has over 175 member entrepreneurs representing well over 100 startup companies in Madison. Check out last year’s Madison Startup Scene recap here, and the full Fast Company article here. Vote For Your Favorite Madison Startup! 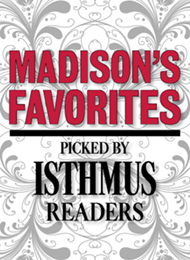 The Isthmus has added a “Favorite Tech Startup” category to their yearly Madison Favorites poll. That’s right, now along with voting for your favorite Food Cart, Beer Bar, and Coffee Shop you can cast your vote for your favorite Madison area Tech Startup! Can we get a Capital Entrepreneurs member company to take the top spot? That’s up to you. Vote for your favorite Madison Tech Startup here (Under the “Places Around Town” section – you don’t need to fill out the entire ballot). Voting ends midnight on June 24, so go vote now! 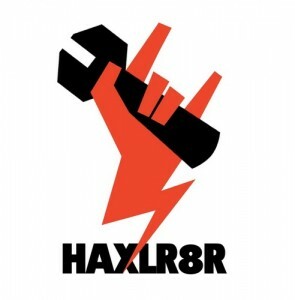 Capital Entrepreneurs member company Portable Scores recently completed Haxlr8r – the first accelerator program for startups building hardware products – based in Shenzhen, China and the Bay area. Portable Scores is a portable, connected scoreboard. Itâ€™s small enough to fit in a backpack but big enough to see across a field and can be controlled from an iPhone. Check out more info on demo night here. Portable Scores also recently launched a KickStarter project. Capital Entrepreneurs member company Style Shuffler was recently featured in the “Hot Trends” segment on NBC 15. Style Shuffler allows shoppers to use the scan function on their mobile phone to scan the tag on their favorite item at a clothing store and Style Shuffler automatically recommends complementary in-store pieces that pare well with the item. Style Shuffler recently launched their mobile app at The Gap in downtown Madison. You can view their video segment here. Capital Entrepreneurs member company UConnect was featured in this week’s Executive Q&A section of the Wisconsin State Journal. UConnect is a food ordering company that connects restaurants around the country with customers. Over 100 local restaurants are signed up on UConnect’s Madison based site BadgerBites. UConnect is now in 14 different markets around the country and expects to add 13 more by the end of the year. Read the full article here. PerBlue CEO Justin Beck was also featured in last week’s Wisconsin State Journal Executive Q&A, and PerBlue’s Forrest Woolworth was recently featured in The Capital Times Q&A. Mobile and social gaming company PerBlue launched their latest title in April called Parallel Mafia, which recently passed 200,000 players from around the world. Water Technology Startup Day is happening July 11, 2012 and is a great opportunity for entrepreneurs in the water industry. The Golden Angels Investors will be partnering with Imagine H2O and the Milwaukee Water Council to put on this event. The Golden Angels Investors is an 80 member angel-investing network (and Capital Entrepreneurs sponsor) based in Milwaukee with a successful background in water treatment investment. They are seeking entrepreneurs with innovative technology in the water industry to participate in the Water Teach Startup Day focusing on innovations in the water industry. The audience will consist of our investors with an interest in this area. The application deadline for participants is June 22. More information is available here, and you can download the application here. This week, some of the University of Wisconsin-Madisonâ€™s best minds are learning how to take new ideas to market and launch them into businesses at the Wisconsin School of Businessâ€™s Wisconsin Entrepreneurship Bootcamp. The camp is aimed at graduate students studying chemistry, biology, law, engineering and other sciences at UW-Madison. More than 60 graduate-level students representing more than 50 majors across the UW-Madison campus are participating in the intensive, hands-on week of learning focused on technology entrepreneurship and exploring how business startups can create both economic and social value. International industry experts John Morgridge, former chairman and chief executive officer of Cisco Systems, and G. Steven Burrill, chief executive officer of Burrill & Company, will be returning this year to teach sessions. More information is available here. Madison and Milwaukee based seed incubator and accelerator gener8tor is officially off the ground. With roots from 94labs, gener8tor looks to provide money and mentoring to young tech companies. The first class of 5 teams for gener8tor’s 12-week incubator program starts this summer in Milwaukee, while the next class will start January 2013 in Madison. Companies in their accelerator program include Capital Entrepreneurs members Door 6, UConnect, and Shindig. Check out more in their Wisconsin State Journal article here. One of the most progressive city open data policies in the country is being introduced in Madison today. The Open Data Initiative Ordinance will make all current and future public city datasets available via open standard APIs. This will improve government transparency and function, while at the same time unleash valuable city data to developers. “Let’s get as much out there as possible. There are some very talented developers out there that may help us in management of the city and help the public access city services,” Mayor Paul Soglin said. This “Government 2.0” initiative embodies the progressive and tech-focus of Madison as a whole, and underscores the City’s commitment to strengthening the tech community. Read more here. Madison CityCamp, on Saturday, June 16th, will bring together local government officials, municipal employees, programmers, designers, citizens, and journalists to share perspectives and insights about the cities in which they live. Madison based social media marketing company Shoutlet has raised $15 million in a Series C funding round. The round was lead by FTV Capital of San Francisco and New York. Shoutlet has raised a total of $24.2 million since launching in 2010, and plans to hire 100 people in the Madison area over the next year and a half. More information is available here. Also in Shoutlet’s space, Buddy Media has recently been acquired by SalesForce.com for $689 million. Buddy Media previously acquired Capital Entrepreneurs alum company Spinback last year.